The Japanese Maple is an elegant deciduous tree that makes a great feature in a landscape garden. Most have nice autumn colors and some have ornamental colored trunks. 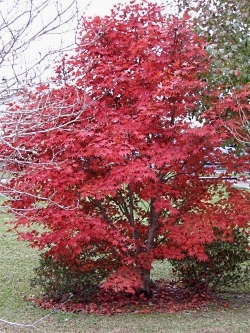 Japanese Maples are a lovely small tree used as an accent tree, specimen tree, or gentle shade tree. 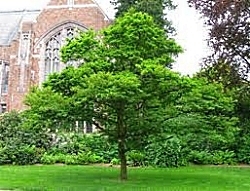 This medium-sized tree has a nice rounded canopy featuring fragrant white flowers in late spring. Slow growing to 20 to 25 feet at maturity. This selection is considered by some to be the most distinctive and striking of the Japanese Snowbells. 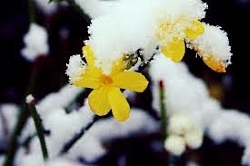 A beautiful bouquet of pure orange colored blossoms that, in warmer climates, last from early spring through first frost. The tubular flowers offer a sweet scent upon sunset. This low maintenance, deer resistant shrub thrives in the heat. Attractive in mixed borders, butterfly gardens or espaliered on a sunny wall. Also suitable for growing indoors. 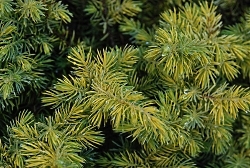 A dwarf conifer with a low, mat-like form and cream-yellow foliage. 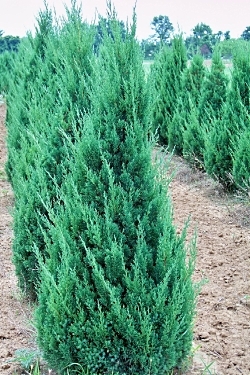 This lovely evergreen makes a nice carpet around other upright conifers. Prefers full sun, is a slow grower and is very hardy. The mat of soft golden foliage of this wonderful groundcover will reach 1 - 2 Feet tall and 4 - 6 Feet wide. It is also used frequently in container designs, where it drapes nicely over the edge of the pot. It’s attractive, hold its color, even in the hot sun, deer resistant and drought tolerant. Good container plant for either side of a door front or walkway. Its columnar form makes a nice privacy fence. Great as a windbreak. 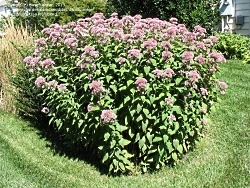 A favorite for a stately lawn specimen or as a medium-sized privacy screen. Densely branched, broad, pyramidal form and blue-green foliage makes this a wonderful formal accent in entrances, especially when topiaried. One of the finest trailing junipers. 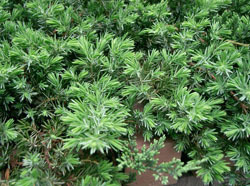 Has a uniform, full centered growth habit with silver-blue, evergreen foliage. Excellent as a groundcover. Also perfect for cascading over walls. 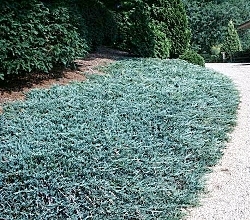 Attractive blue foliage on dense, spreading branches. Creates a colorful contrast to purple and green foliage plants. Use in a rock garden or as a low border plant. Evergreen. A good specimen in mass plantings or as a groundcover for hot, dry areas of the landscape. The golden-yellow tips make a striking contrast with the blue-green mature foliage.